(Continued from April 19, 2013 post)…. So I finally understood the concept of a “hank” of yarn, it was intimidating me anymore, so I would simply open it up and roll it into a ball. Needless to say I had nothing but a tangled mess. After freeing the large loop of yarn so that I could unravel it from its loop, I learned that it might want to hold on to its neighboring thread and pull it ever so slightly with it, moving the neighboring thread from where it sat and growing into a mess. It took me hours, and even then I needed to cut places and work out knots that I had made, it was a head ache. But this time I was not discouraged. I would find a process. 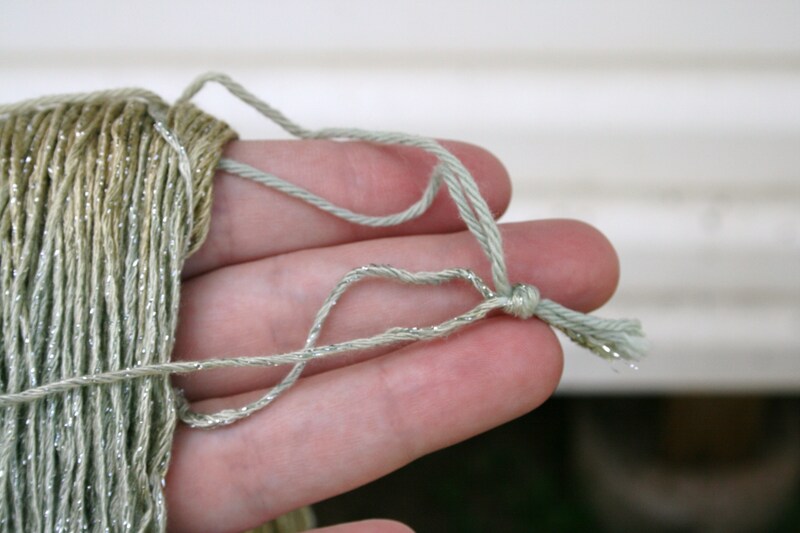 After playing with some hanks I learned that before I even attempt “freeing” the yarn from its loop, I need to make sure the loop in smooth, not twisted, that it hangs nicely, this will definitely help. Then I need to place it somewhere that will keep it taunt, maybe over the back of a dining room chair, but I found that I use my knees (not very lady like but effective for me), I have learned that some people use a swift…it reminds my somewhat of an umbrella, but without the fabric. 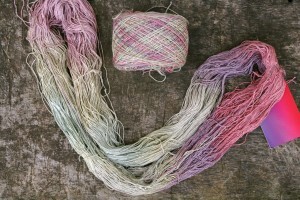 This expands to the size of the loop and will spin as you pull the yarn). Then I can make it into a ball, if I want to pull it from the center I can wrap the yarn around an empty toilet paper tube (open finishing wrapping it up, I can pull out the tube and use the middle yarn, as pulling from the center means that the yarn will not be rolling around that floor as I use), or there is a little tool called a ball winder that you place your yarn end in and crank its little handle and it spins it onto a tube, to make a pull from the center skein. So why is yarn placed in hanks? Is it just to give you a little more of a work out, or to look fancy? Actually it does have a reason; it places less stress on the yarn. 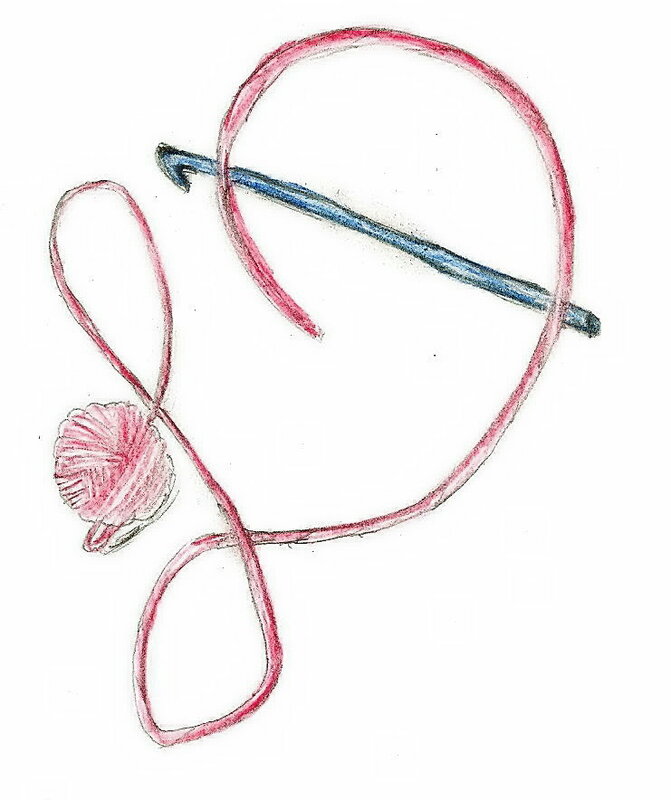 By being in that “loop” it helps the yarn to relax, where putting it into a skein or ball, the yarn in the center is under more pressure than the yarn on the outer edges. This may be a subtle thing, but it can make a difference in some processes and designs, especially if the fiber has been sitting in this more pressured state of a long while. 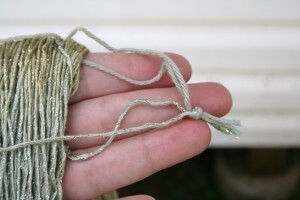 If you think about it you have seen this with a basic skein of yarn, when you pull out the beginning end, it is often bent of twisted, where by the end of the skein it is smooth. 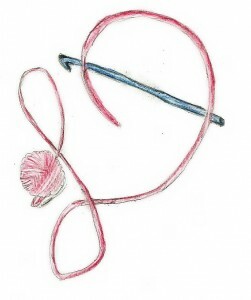 So if you want to use a hank of yarn, only wind it into a ball when you feel you are ready to use it. It will help the yarn stay consistent. 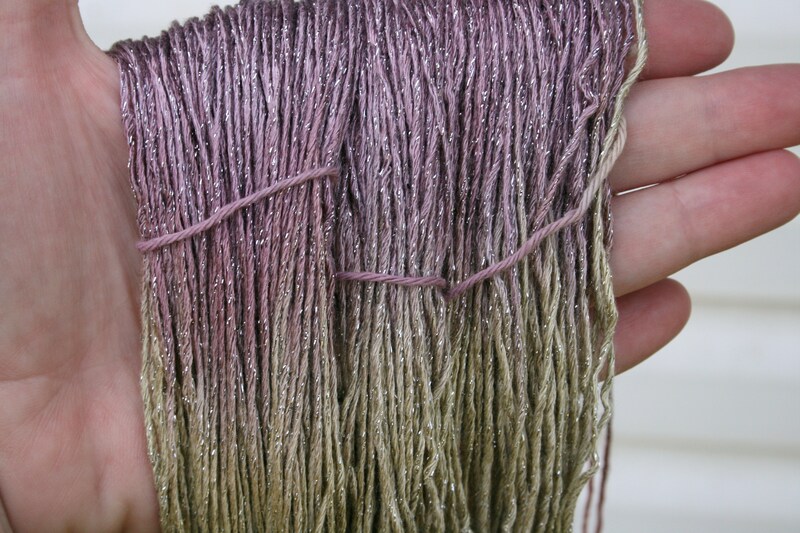 One of the benefits I have found with a hank, it a purely visible one, I can open a hank to a loop, and see how long the color changes are for a variegated yarn. 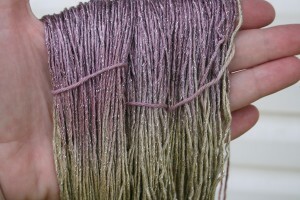 This is something that I have difficulty seeing in a skein. 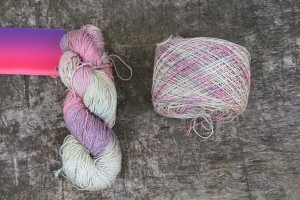 I have found that I am not alone in my understanding of this “yarn hank”, so I hope my experience will help you take the step to attempt a yarn you may not have used because of the way it is presented. (And I have since learned, that most of these Local Yarn Stores, will in fact wind the hank into a skein for you at purchase, you just have to ask). 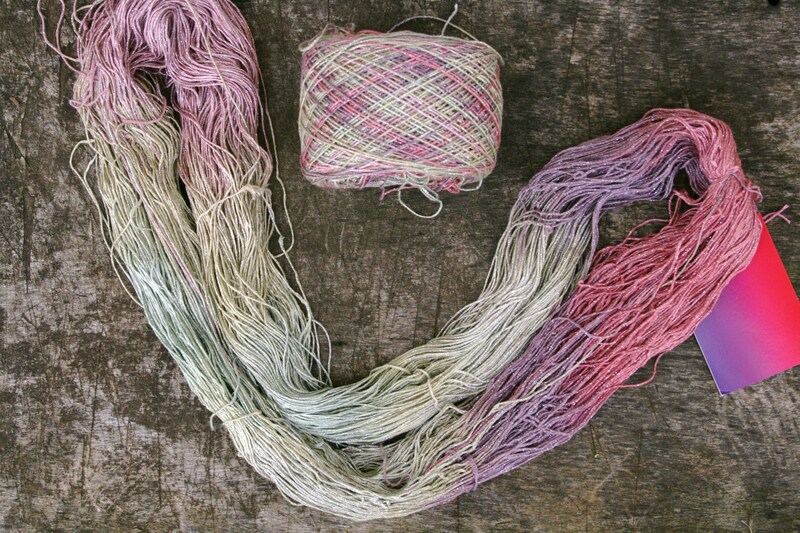 Take the plunge and explore the world of fiber! This entry was posted in Crochet Understanding, website and tagged ball, Blue Heron, fabric, fancy, fibers, hank, Linda Dean, mess, relax, skein, swift, twist, umbrella, use, winder, Yarn by webmaster. Bookmark the permalink.